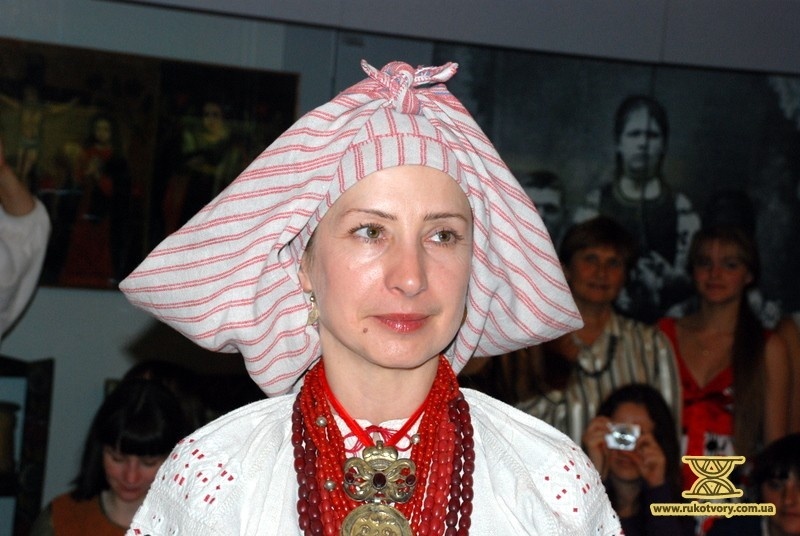 Ochipok is an ancient head-dress of a married woman in a form of a cap (often with a slit on the rear), usually laced to hold tightly the hair hidden underneath it. 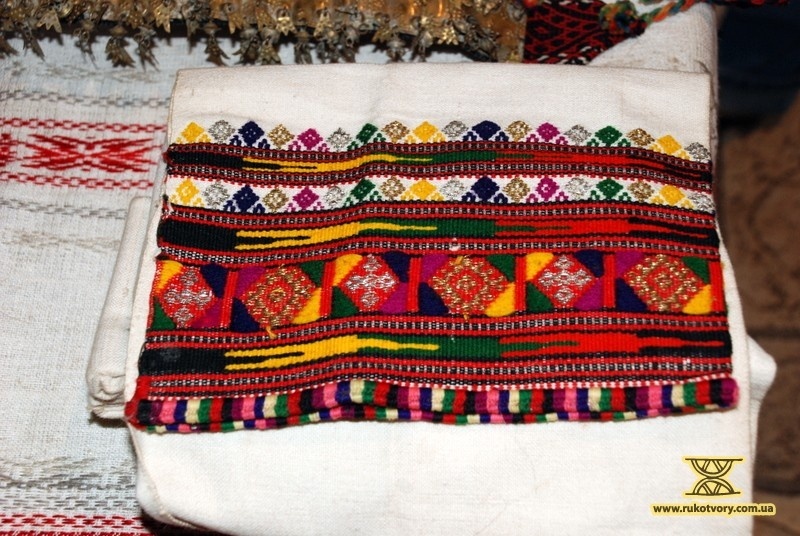 Namitka is a kind of cover made from thin transparent fabric which used to be tied by married women over the ochipoks on their heads. 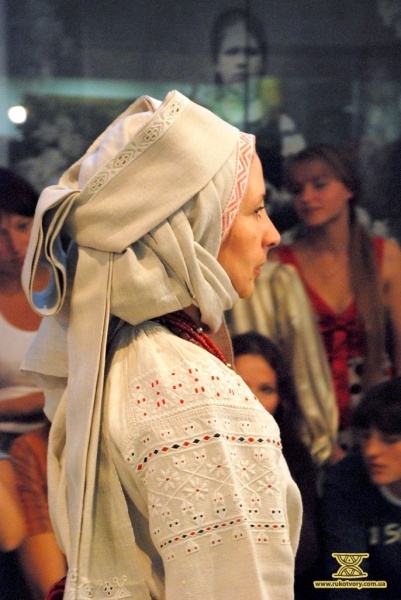 Nowadays it is not always possible to tell a young married woman from a single girl by their appearance. If they don’t wear wedding rings I wouldn’t advise ever trying to do that – all young girls and women have similar faces and clothes. 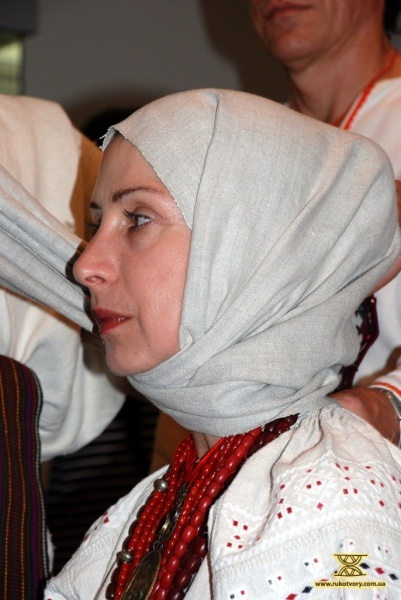 But as long ago as several centuries this delicate problem was solved by wearing head-dresses. 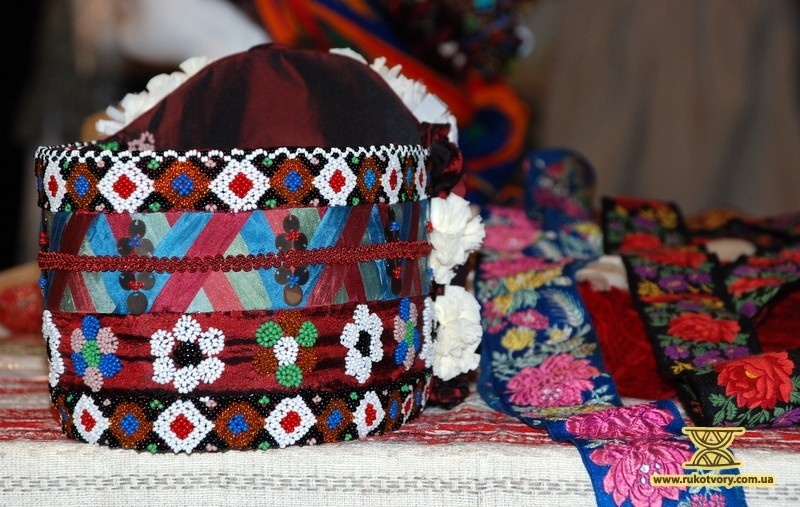 The wedding ceremony of capping the bride’s head by ochipok and namitka symbolized her transformation into the married state. 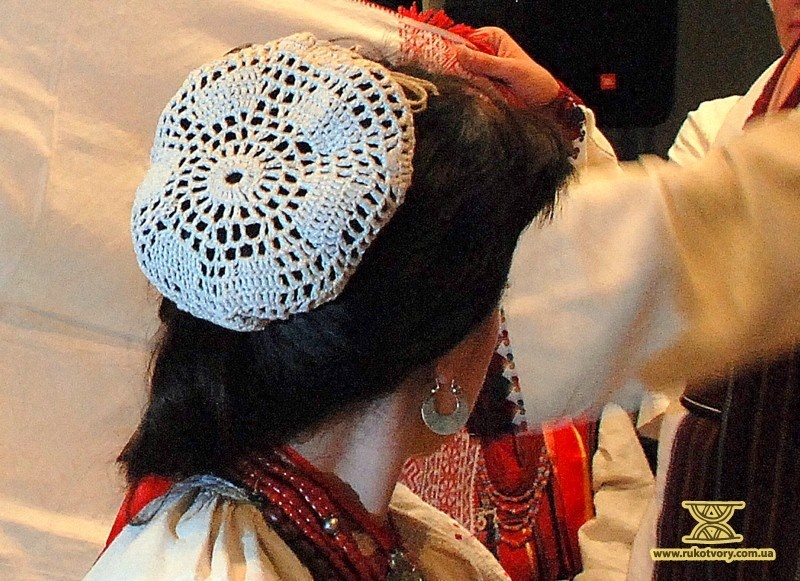 After this ceremony it was a dishonor for the newly wed woman to go out with a girl’s hairstyle – i.e. 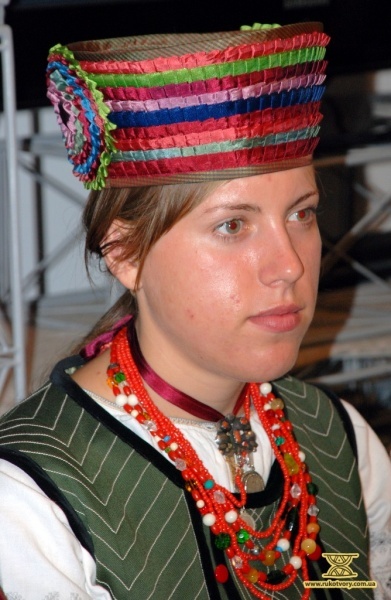 bare-headed or with plated braids adorned with flowers or wreaths. This was even considered a sin. 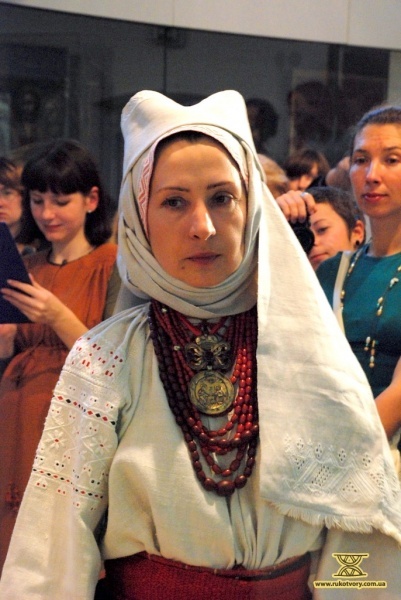 — When girls wore wreaths and married women had different head-dresses all of which depended upon the age, i.e. 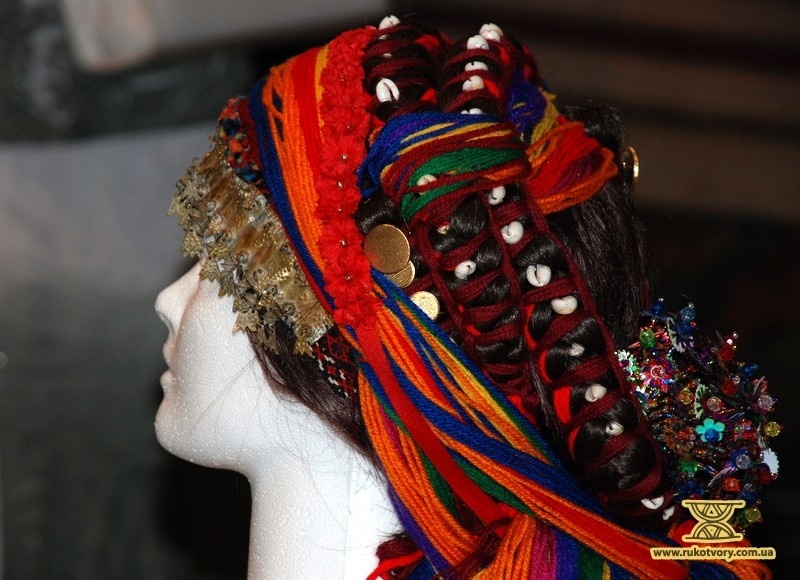 there were different head-dresses for different periods of life, then variety of appearances and curiosity were ensured. 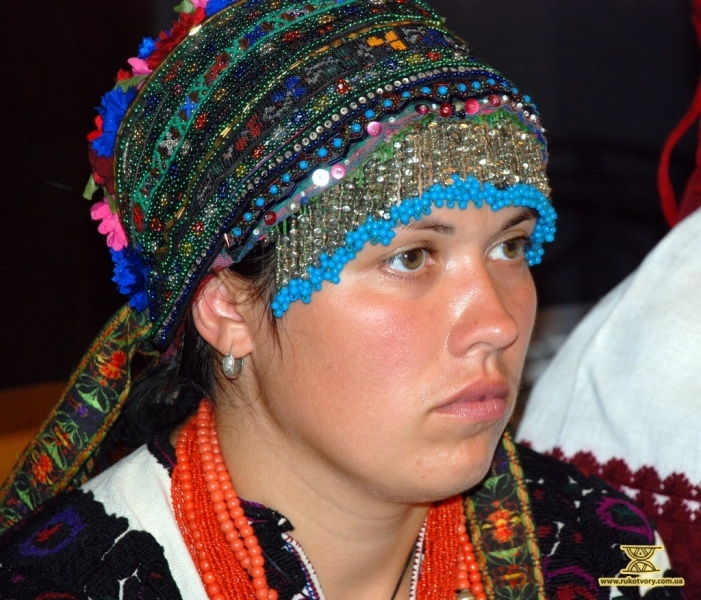 The native region of a girl or a woman, the wealth of her family, her social status and age were clearly seen. It is similar to the variety in the world of plants and animals. 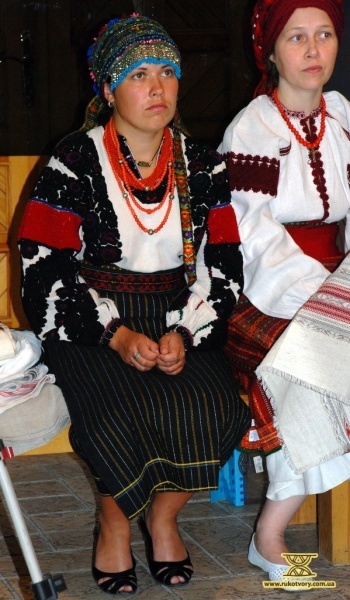 Why do we dress so unified? 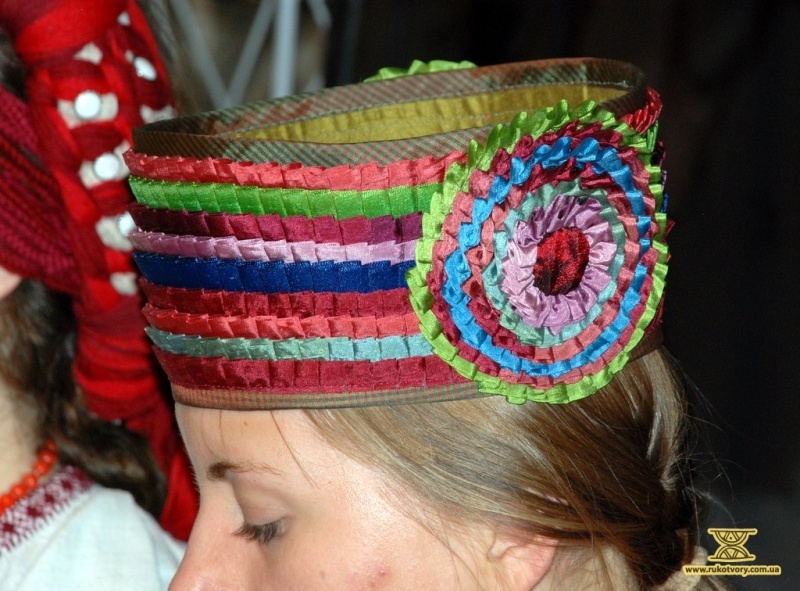 We are far more interesting for the world and other nationalities by all those various bright clothes which used to differ from region to region and not by modern coats and pants. 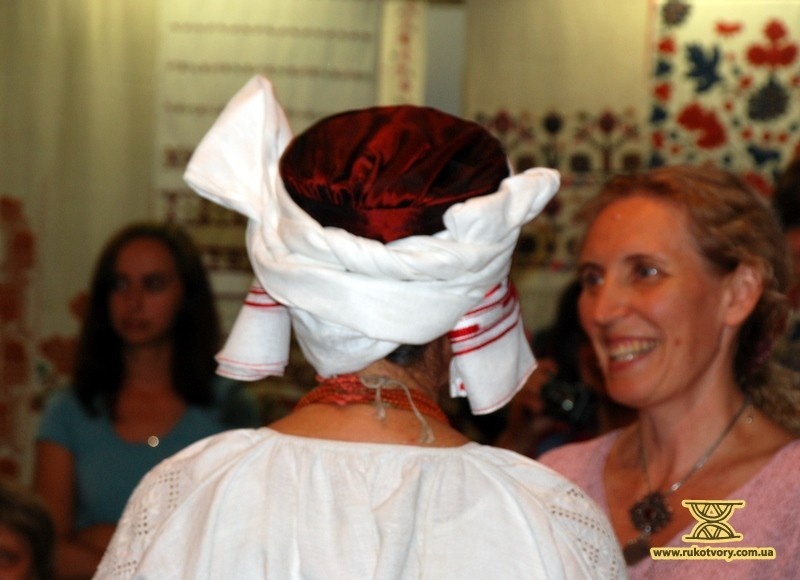 All the different kinds of wound turbans as well as these namitkas of Ukraine which have a lot of variations are of supreme decoration and beauty. 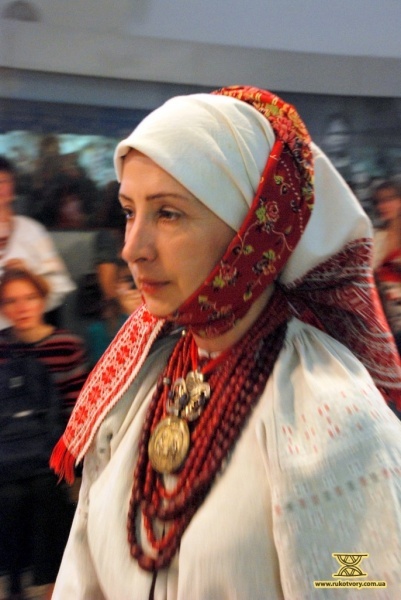 Though the most widespread women’s head-dresses – namitka, shawl, ochipok – used to hide the hair completely, at all times they were worn in different ways in all the regions of Ukraine. 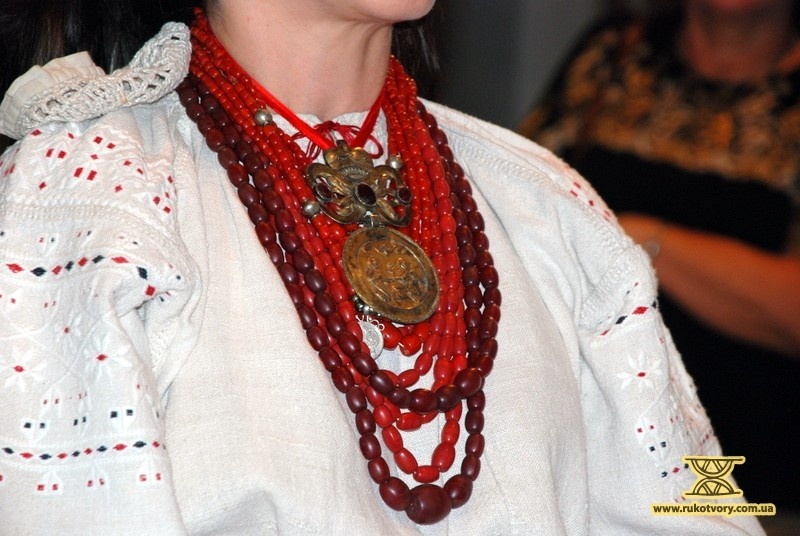 The exact ways to wear them were shown in the Ivan Gonchar Museum in Kiev not long ago. 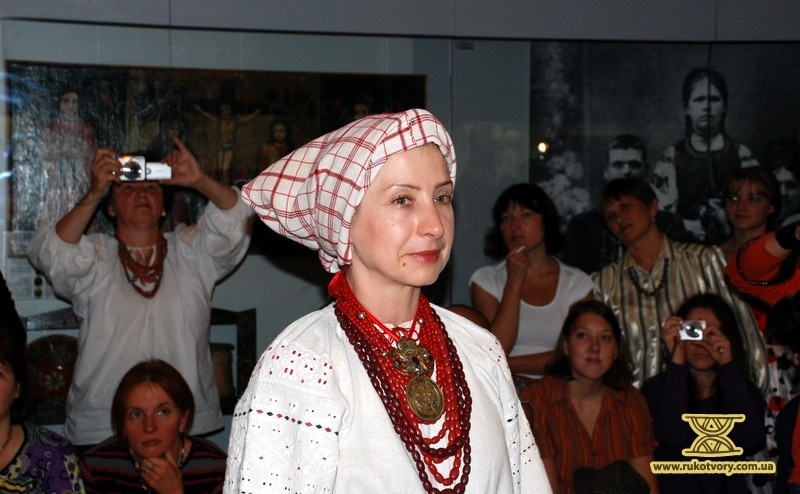 Investigators of the Ukrainian national costume skillfully reconstructed real masterpieces of ancient women’s head-dresses from namitkas, ochipoks, shawls and kerchiefs. 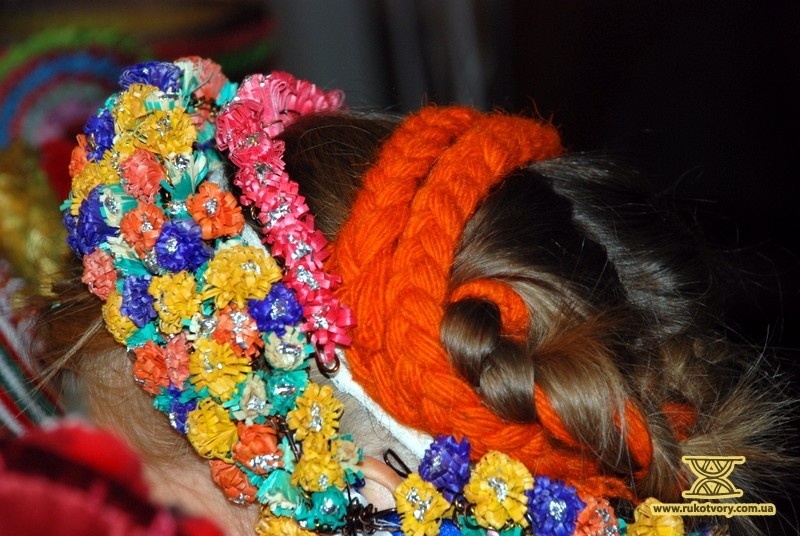 From the first the techniques of arranging and tying the head-dresses, and namitkas in particular, seem especially complicated and funny. Not less strange seem their local names, that is “marushka-style”, “rounded”, “as a molodytsa” (a young married woman), “for the church”, “zhibyev-style” etc. 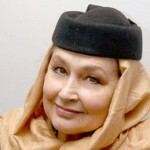 — Can you imagine that in winter when it was cold and frosty, women arranged namitkas so that only their eyes could be seen and in this way they never got frost-bitten and didn’t have any problems with weather skin. They arranged and wore their warm clothes so as not to catch a cold of any kind and to stay fit. 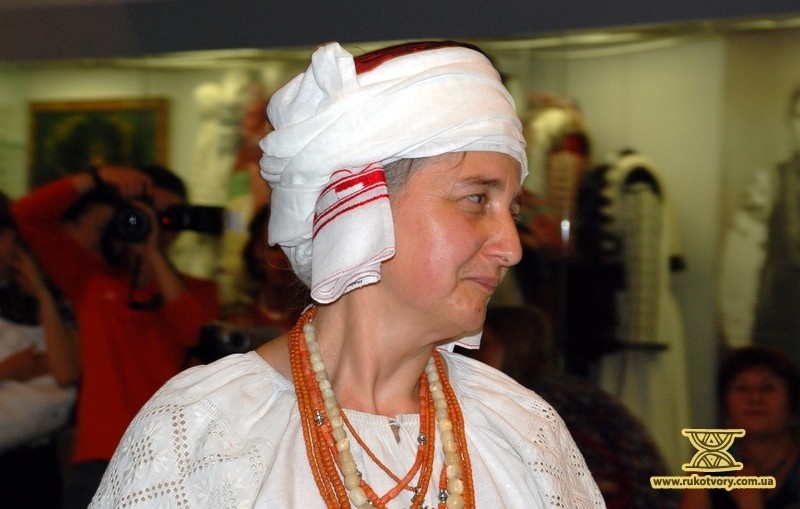 If it was hot weather then on the contrary namitkas of flax gave women coolness — that is their heads never got scorched compared to the ways we have now – walking in the baking sun bareheaded. So due to this we can speak not only about beauty but about health as well. 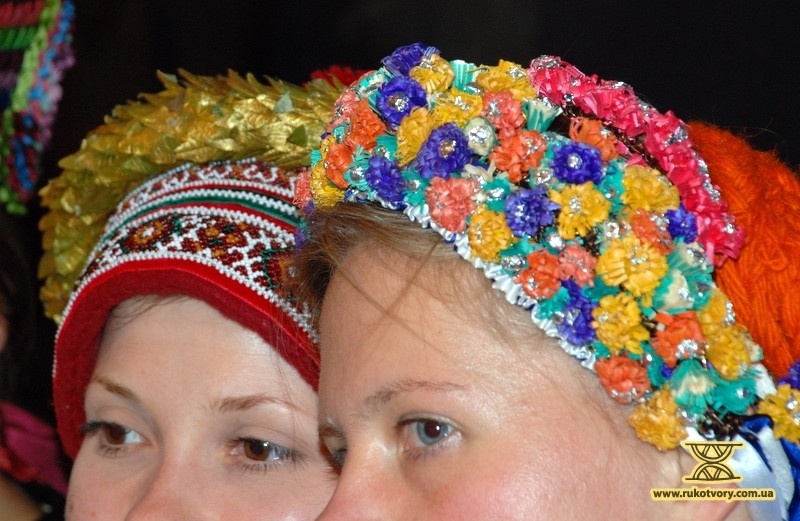 If for modern girls or women it is at least not fashionable to cap their heads this way, making head-dresses from shawls and namitkas is a usual work for a student of the Culture and Art University Igor Perevertnyuk. 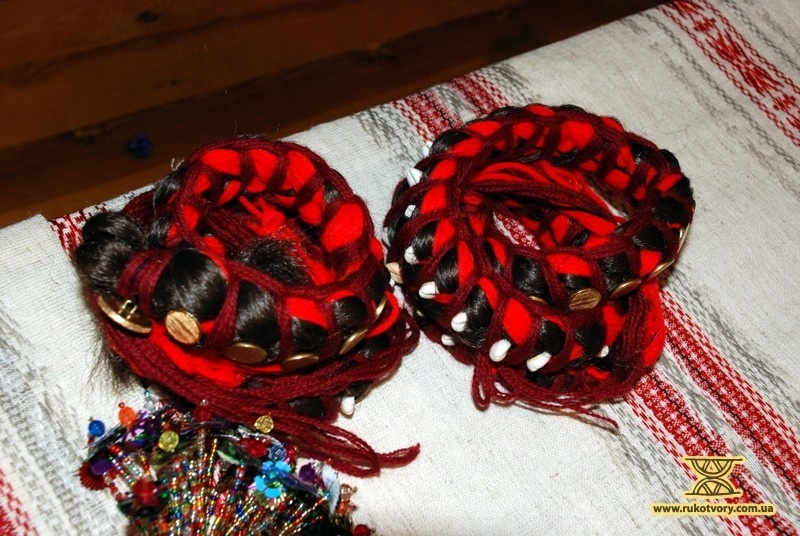 Before any performance of the folk group “Kralytsya” (“A beautiful woman” — regional) he makes head-dresses for the girls who, together with him, are the participants of this group. 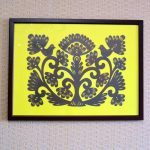 He learned this art during expeditions to the villages of Rivne, Volhynia and Zhitomir regions. 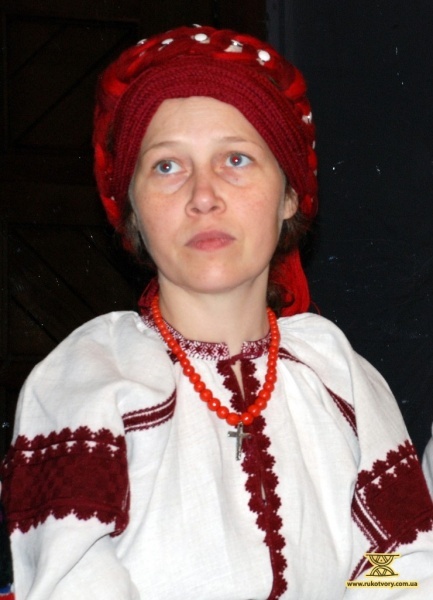 In the process of communication with old people this young investigator learns ancient traditions, customs and ways of life of Ukrainians. 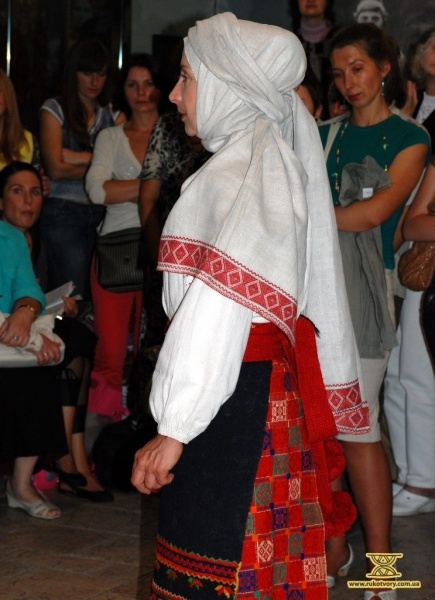 — Thankfully, in Polyssya villages there still live old-timers who can show us how everything is done. Where have I taken all my knowledge? It is not from the books but exactly from people. I go around by buses and electric trains. 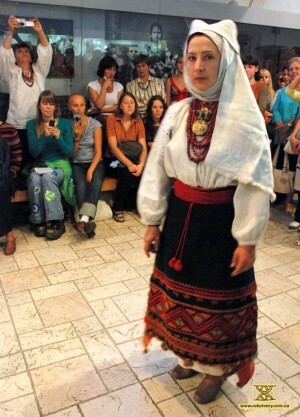 Come to villages asking if there are people who sing and have traditional costumes. I either find such people or not. 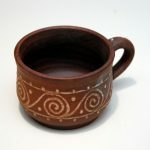 I buy things, make photos of them if they are not sold, and record songs. This is approximately the way everything goes on. Igor has become interested in ethnography since he was eight. In search of treasures he first went around his own and neighboring villages; later when Igor became older he started to go where he liked. Mainly he travels alone because not everyone is able to endure all the adventures and conditions of such travels. 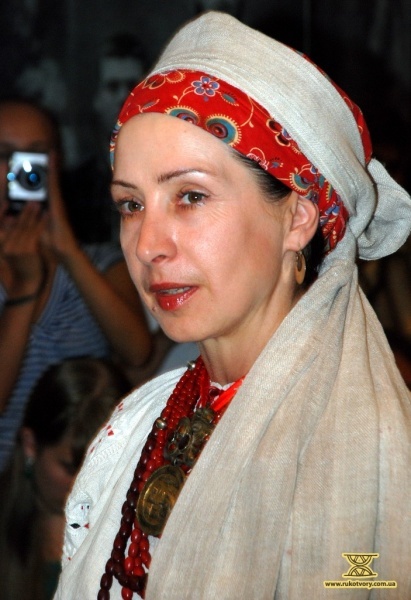 — Rather often I have to communicate with unpleasant people or to spend nights at railway stations because you know — the means of communication in Ukraine are not so good as to have bus routes to villages every half an hour. It can be there is a bus once a week. Now and then in different villages I happen to stay for a night with people with whom I record my songs. Sometimes I have to walk up to 20 kilometers. That is why I don’t want people I’ll have to drag after me join me in my travels. 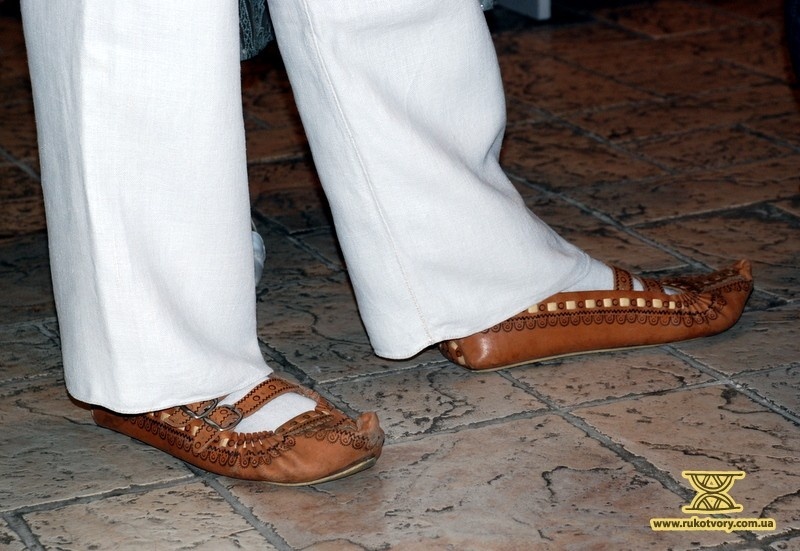 By Igor’s observations, nowadays no one wears namitkas that used to be so popular. 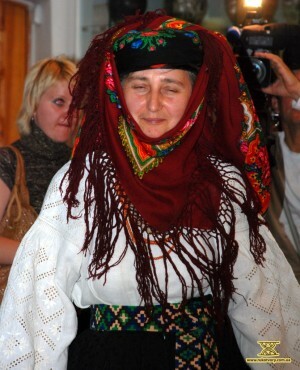 Except that old women cover their heads with shawls and for a better fix hide their hair into kybalkas (ancient women’s hair-dress in the shape of a crescent). 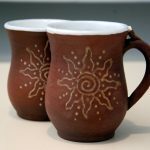 People come to remember ancient customs with pleasure but most of them are not in a hurry to bring these customs back to life. — Way back all the family clothes used to be hand-made. No one was paid pensions and work was not well-paid either at the times. 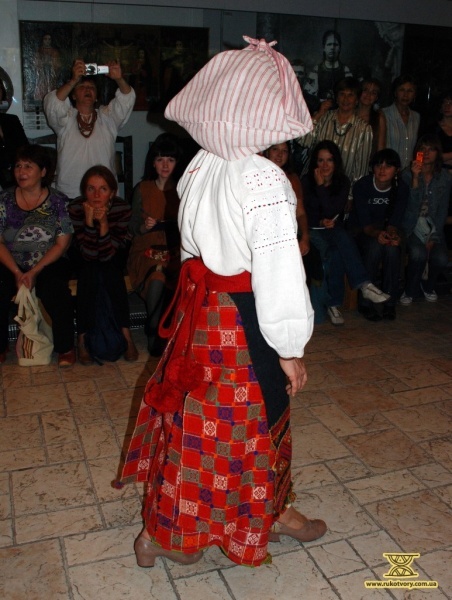 People didn’t have enough money to buy fabrics and clothes so they had to everything by themselves. That is why no one misses those times much. 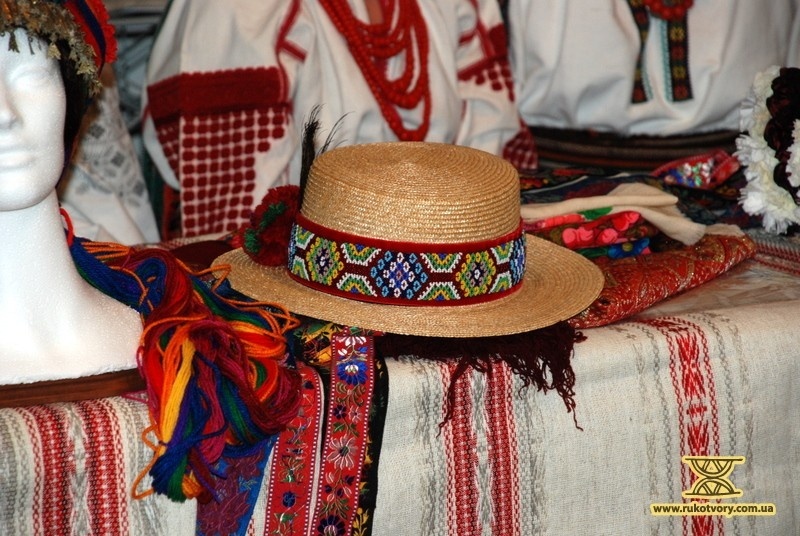 Due to the fact that globalization has not reached all regions in our country the customs still survive in villages. 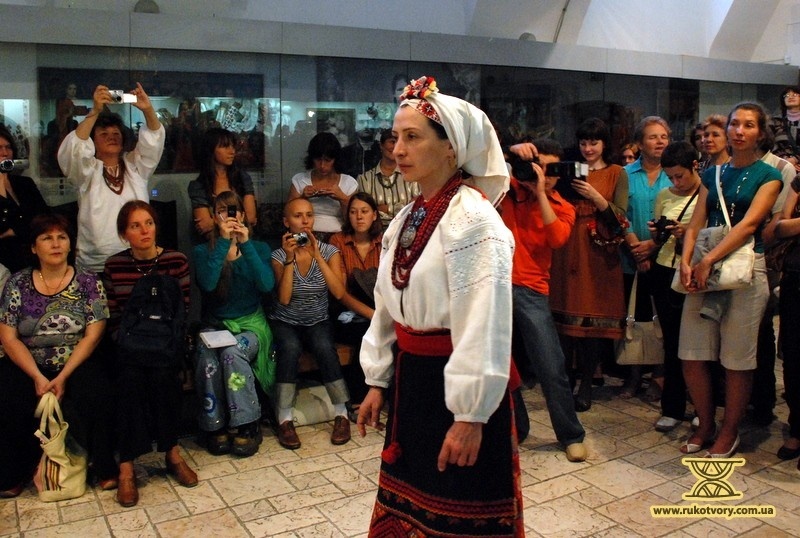 For example it can be said that everything has long ago been completely different in Germany, Lithuania or Finland. There, everything evolved into European so to say glamorous traditional nature long ago. 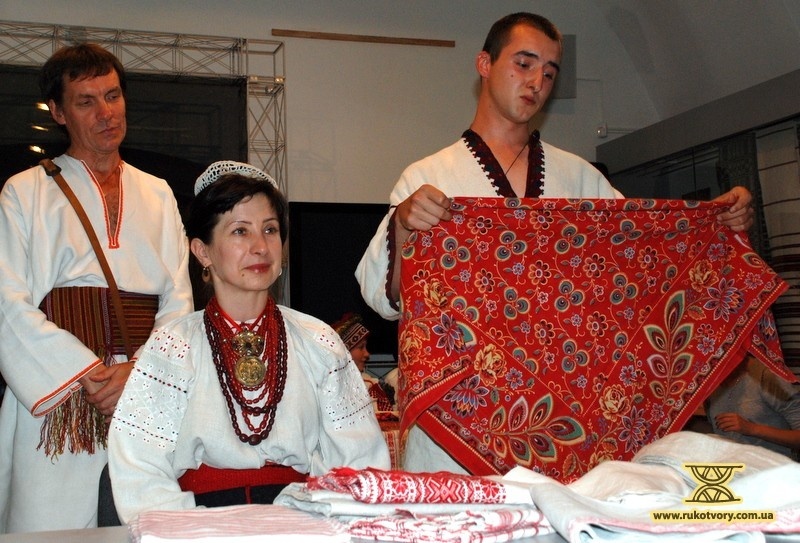 In its turn, the population of the majority of Ukrainian villages is not very knowledgeable in ancient traditions, all the more – only each hundredth person is able to show a way to tie namitkas. — Only twenty or ten people from a thousand are able show such things and not many more know about them. It’s when I come to people much older than me and start to tell them what I have seen in their village they say that even the names of such things are not familiar to them and ask me what they mean. 70-year old people are a younger generation; I usually deal with people of 90 years old or even older. And it is always pleasant to work with them because they know very much. Not all the people are willing to communicate right from the start but in the process of talk when I, for example, ask “Could you tell me, grandma, in the days of your youth…” the lady starts recalling things and the talk becomes very interesting. 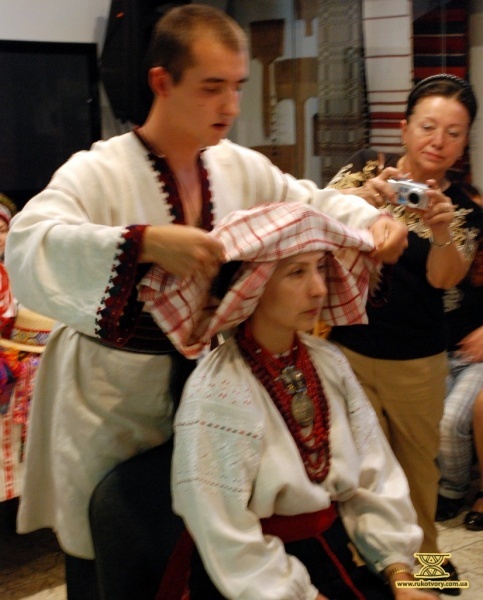 Igor demonstrated his rare skill together with some other investigators in the Ivan Gonchar museum, conducting a master-class in creating and arranging traditional Ukrainian women’s head-dress. The results you can see in the photos. 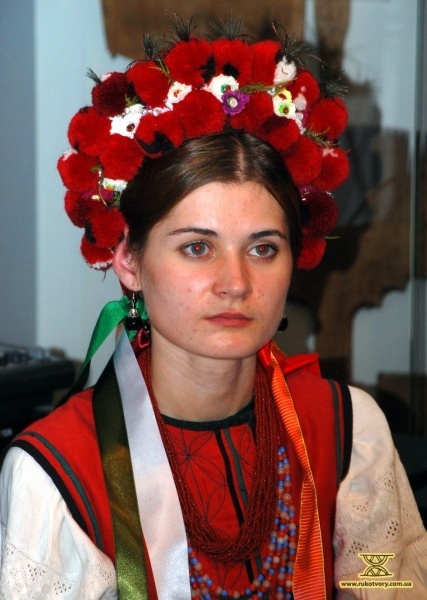 On the whole, popularization of the traditional Ukrainian women’s head-dress in not a novelty nowadays. 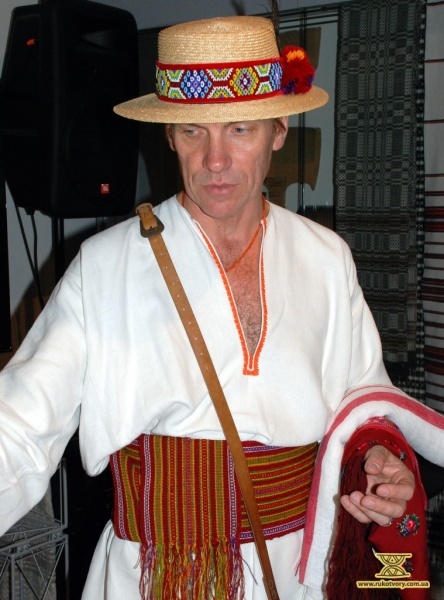 According to Yuri Melnychuk he has already advised the publishing house “Postage stamps of Ukraine” three times. It was when several years ago they published three sets of postage stamps devoted to this theme. 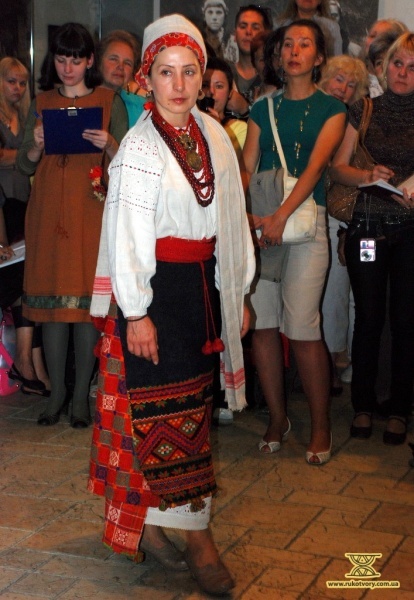 Also, in the modern theater there are actresses not indifferent to the national traditions. 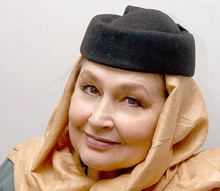 For example, Rayisa Nedashkivska, a well-known theater and cinema actress, likes to wear “modernized” namitka and ochipok. It suits her very much and she serves a good example to follow.